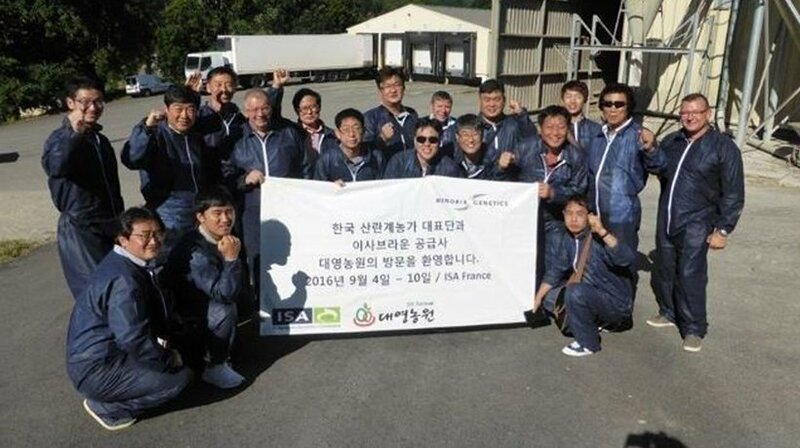 Dae Young Farms, DY, the ISA Brown Parent Stock distributor in South Korea, visited the France office together with a group of commercial layer farmers. During several working sessions prepared by our France team of Hendrix Genetics, a very positive and productive exchange took place with the egg producers, especially on how to optimize the performance of ISA Brown commercial layers in their operations. The group took a visit to our R&D farm as well as toured the operations of an egg producer in Britany. The trip concluded with a visit to Mont Saint Michel, the sea coast of Britany and the Louvre Museum in Paris.